Hello and welcome to MySwedish learning corner again! There will be no more hesitation whether to use “de” or “dem” in a sentence after today’s lesson. Let’s get it started! Let’s take a look at the probably most problematic personal pronoun in Swedish. 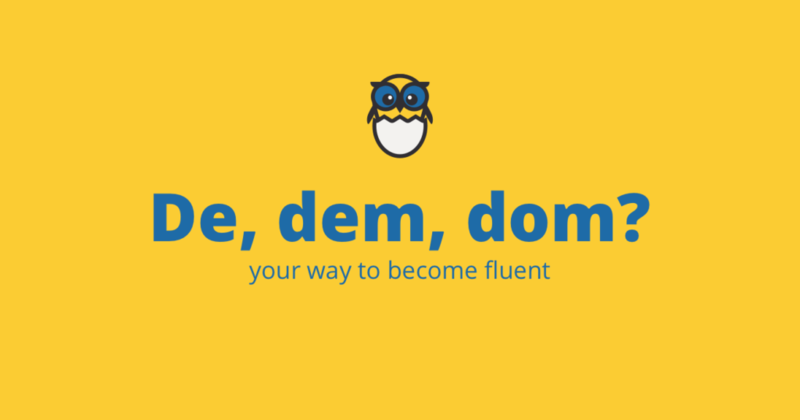 One can become confused by de, dem or dom very easily because not only students of Swedish but even the native speakers make mistakes and mix these up. Let’s use similar sentences as with jag and mig. This all for today’s lesson. I hope that you now know the difference between de and dem and you can use it in a correct way.